When you attend a big BlackBerry event such as BlackBerry World 2012, there is normally signage all over the place promoting the next big BlackBerry event. That didn't happen this year though. 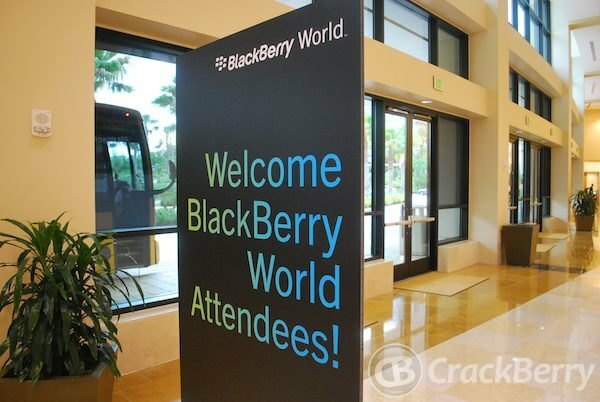 There was no signage to be found for when BlackBerry World 2013 would be held. Because of that small detail, many folks alluded that maybe RIM didn't have a date because they were uncertain if there would be a BlackBerry World 2013. That logic of course, couldn't be any further from the truth. Truth is, RIM will not only be hosting BlackBerry World 2013 but they'll be more in your face and in more places in the coming months than ever before. Have a look below to see all the upcoming events including BlackBerry World, BlackBerry Jam and BlackBerry Innovation Forum. Is your area listed? Will you be looking to attend any of the events? If so, sound off in the comments.